Professional eyeshadow palette:sometimes a bit of bold color is all it takes to wake things up and change your makeup game. 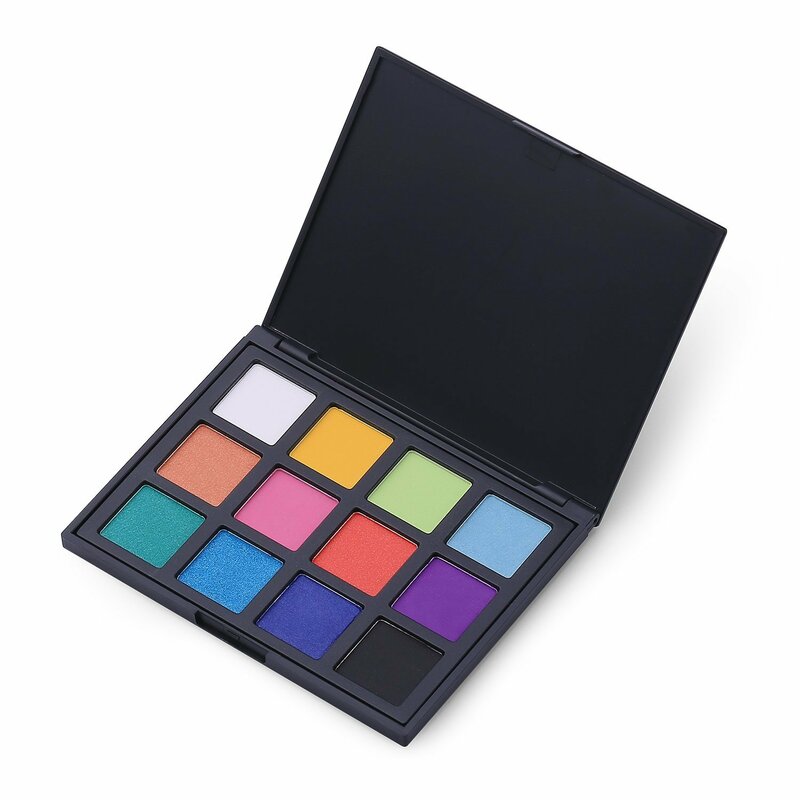 Whether you’re a beginner looking for a way to experiment without breaking the bank or a pro who wants to add a bit of fun to the mix, this palette gives you twelve eye-popping colors to turn your eye look into a work of art. 12 Colors eyeshadow palette: 6 colors matte eyeshadow are matte white,matte black,matte yellow,matte lawngreen,matte purple,matte hot pink;6 colors shimmery eyeshadow are shimmery blue,shimmery deep sky blue, shimmery sky blue, shimmery royalblue,shimmery red, shimmery orange. Natural eyeshadow palette:using natural material,safe to use.Highly pigmented eyeshadow palette,long lasting. Popular eyeshadow palette: Suit for different occasions,like casual,salon,halloween,party,wedding, etc.Perfect gift for makeup beginner,girls,ladies,women,on her birthday,christmas day,mother's day,valentine's day etc.